Image Size: 32 x 40 Framed price: $6,000. 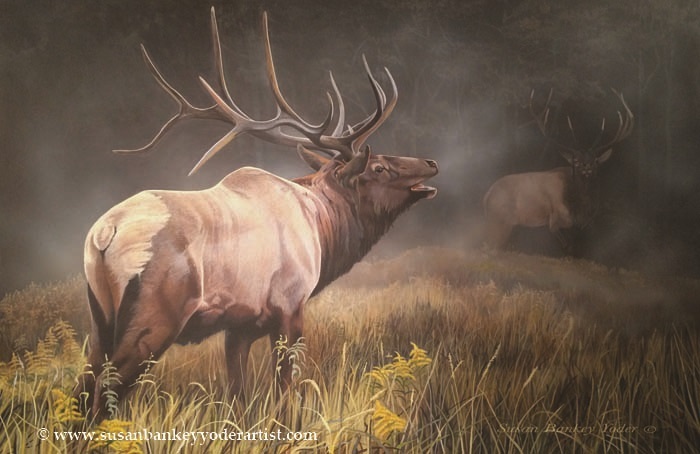 On a crisp September morning in the Appalachian Mountains, a bull elk catches the scent of his challenger in the mist. I have seen elk now in both Pennsylvania and the Smoky Mountains. It is especially exciting to have observed this first hand. It is something I will never forget.